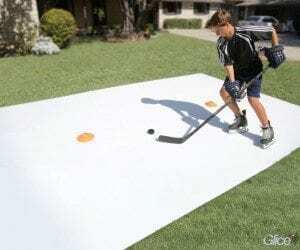 Is UV Protection enough for your Synthetic Ice? Those of you who have been following our blog will know what synthetic ice is and what advantages it has over conventional ice, but those who haven’t read it before can do so here. Just like with any other product, there are many different types of synthetic ice. The quality of a synthetic ice rink really makes a difference in the performance of the skater. Creating synthetic ice that genuinely gives the skater the feeling he/she is on real ice is no simple task. There are so many aspects that need detailed attention in the process of creating ice-resembling plastic. While it can prevent discoloration and a reduction in quality, UV protection alone will not define the excellence of your synthetic ice rink. Everything from the quality of the raw materials to the composition formula and the incorporated technology matters! 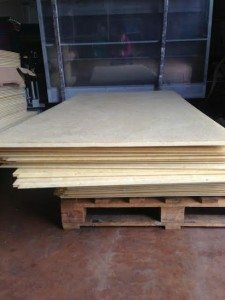 What makes a good quality synthetic ice rink? ice rink goes through many stages of production and each stage requires detailed attention. Nonetheless, the basic step for the creation of high quality synthetic ice is the raw materials. Many producers will opt for cheaper raw materials to have a lower production cost because they believe it won’t make a big difference in the end. They are wrong. This is just an example of discoloration over time. This particular synthetic ice rink was installed indoors, in a room without a window and no exposition to sun or otherwise harsh weather conditions. Despite the gentle environment the color changed over time. This is not due to the lack of UV protection; it is due to low quality raw materials. Synthetic ice rinks are made to be used anywhere, any time without consideration for the environment or the weather. To maintain its color and its quality under all circumstances the plastic ice has to be made with premium raw materials, have UV protection and incorporate the newest available technology. Glice® synthetic ice is manufactured with premium raw materials and a special high density molecular structure that ensures its unwavering quality despite harsh environments and constant use. In addition to high quality raw materials Glice® synthetic ice has UV protection, contributing to a long life cycle and a shining white surface. To get more information about Glice® synthetic ice contact us today. Our experts will be happy to help.